Real Estate Consultations: For your home buying purchase, I will go look at the property with you and discuss your Feng Shui needs and give you recommendations accordingly. If you are a seller or real estate agent, I can come to the property and give you recommendations to show your house in the best feng shui light. 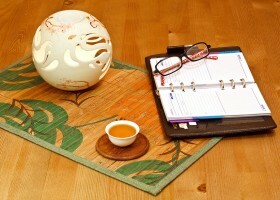 Good Feng Shui can mean quicker sales and higher profits. Extra charge for homes out of the 30 mile radius of 91360.